EXCEPTIONAL LOCATION. 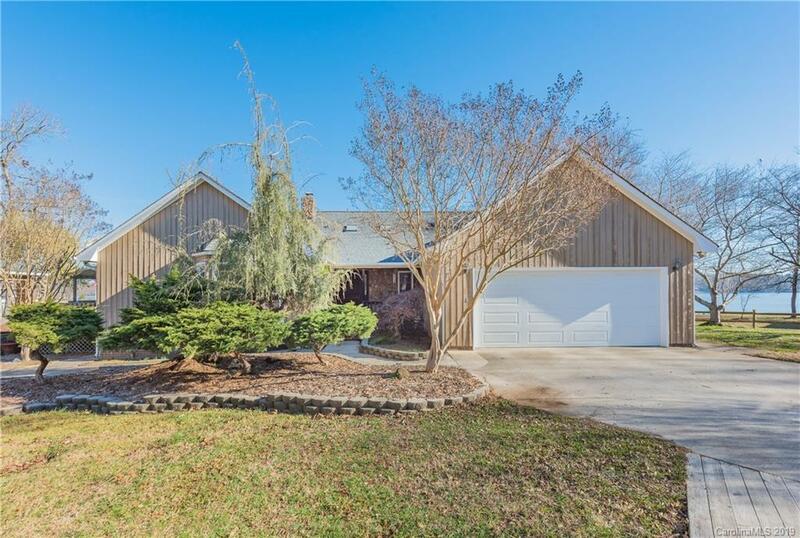 Meander down a private country lane, to a level .73 acre point of land going into Lake Wylie in York. Two homes: a main house on one level (2216 sq feet) and a larger two-level guest house (3611 sq feet), with a total of 7 bedrooms and 6 baths. The main house faces the lake with a gorgeous view across to Tega Cay. The guest house has a huge billiard/bar/screening room, office, 2 baths and 2 bedrooms upstairs and a complete kitchen, 2 more bedrooms and another 2 baths downstairs. A great option for multi-generational use. The house has a covered two slip dock as well as a second dock - both grandfathered in. Large brick gazebo with built in grill and tables for entertaining. Deck across entire front of main house. Over 600 feet of total lake frontage. Well is over 300 feet deep. The houses are being sold "as is" and are waiting for your personal upgrades but perfectly livable now. Don't wait.